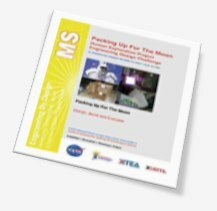 Do you want to learn how NASA Explorer Schools educator April Bidwell’s class at Wewahitchka Elementary School turned the Lunar Plant Growth Chamber into a full classroom experiment? Students planted basil seeds, which had flown on the International Space Station, in three different everyday items. The items included diapers, an old tennis shoe and a wasp nest. Which do you think grew seeds the best? Find out in NEON. Do this NES activity in your classroom to find out how creative your own students can be. Log it, and you’ll be on your way to an all-expenses-paid NASA summer research experience as part of our Recognition Program!